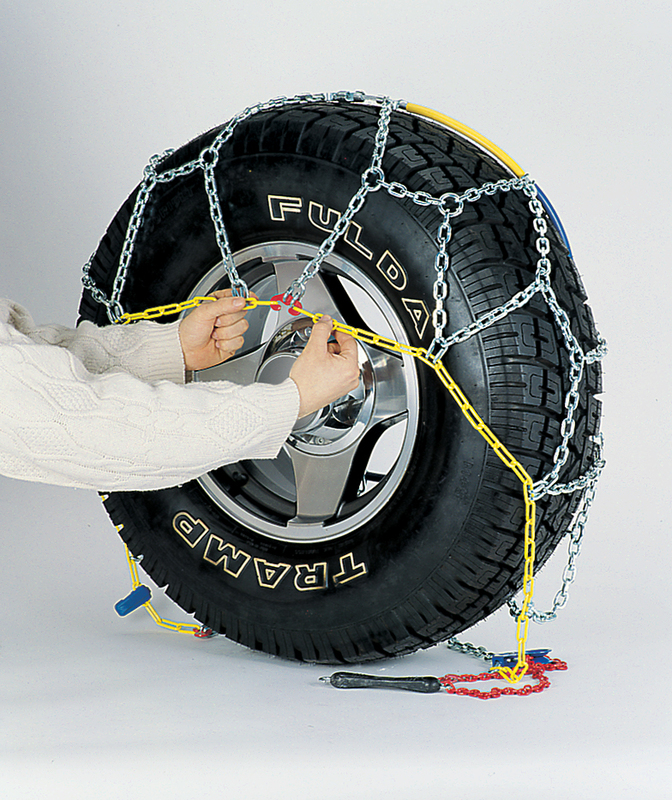 Weissenfels Rex TR is the perfect solution for easy quick snow chain fitting on 4 x 4 vehicles, pickups and light commercials. 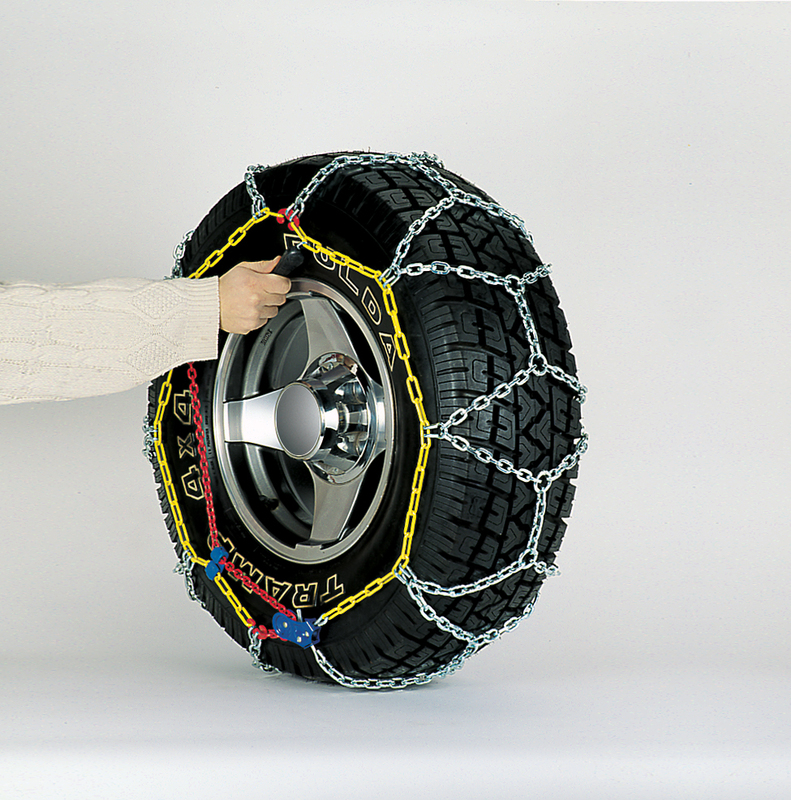 Thanks to Weissenfels colour coded flexible hoop mounting system and its auto-locking chain tensioning, the Rex TR can be fitted or taken off in almost no time at all. 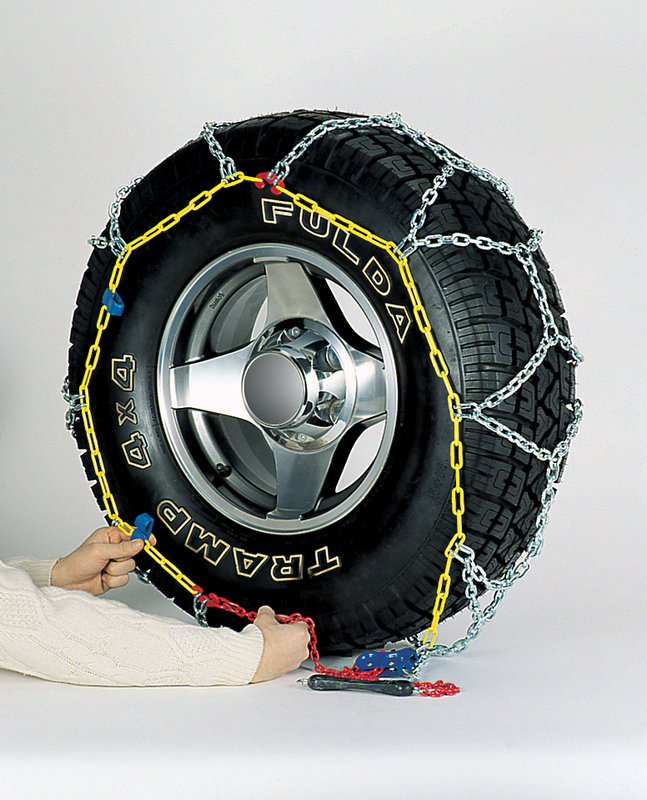 In most cases they can be simply fitted without moving or raising the wheels. 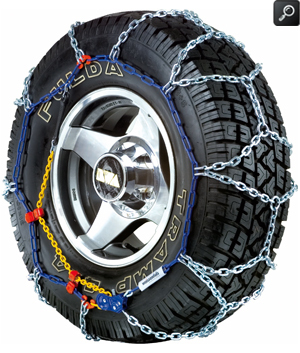 In fact they can even be put on should the vehicle be stuck! Sizes are available to fit the majority of 4x4's such as BMW X5, Mercedes ML, Range Rover, Land Rover, Discovery and Jeep etc., as well as mini buses and light and medium weight commercials. 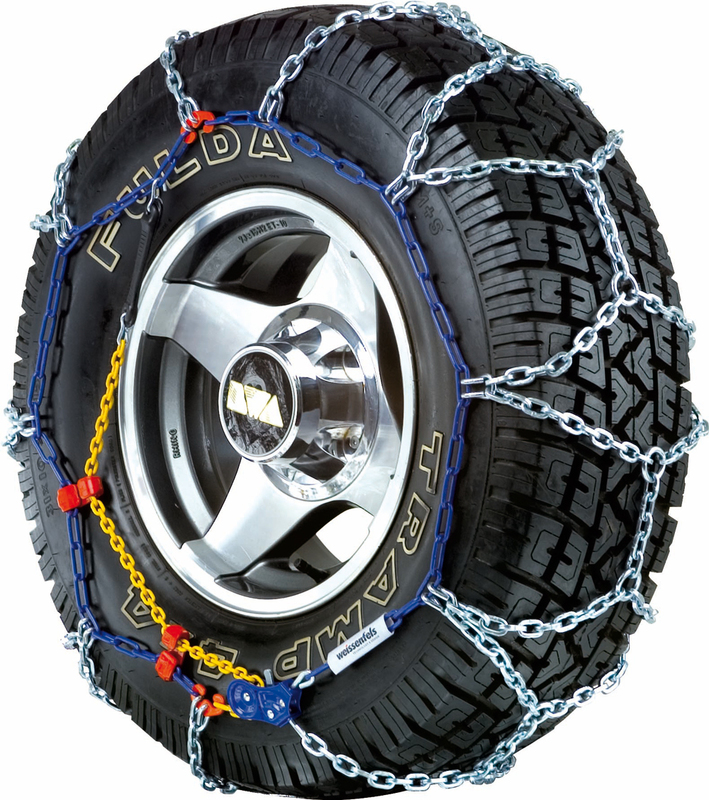 Their High quality and robustness makes the Rex TR the perfect solution for the discerning customer who appriates the very best from a snow chain. 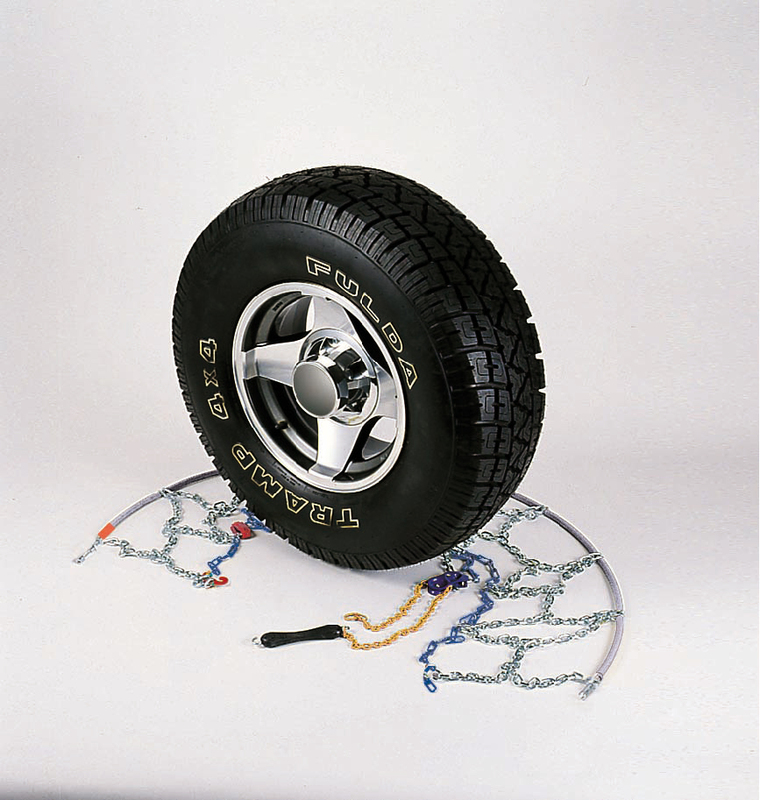 If you change your car and need a different size or type you can take advantage of our unique Weissenfels Rex TR snow chain exchange service. 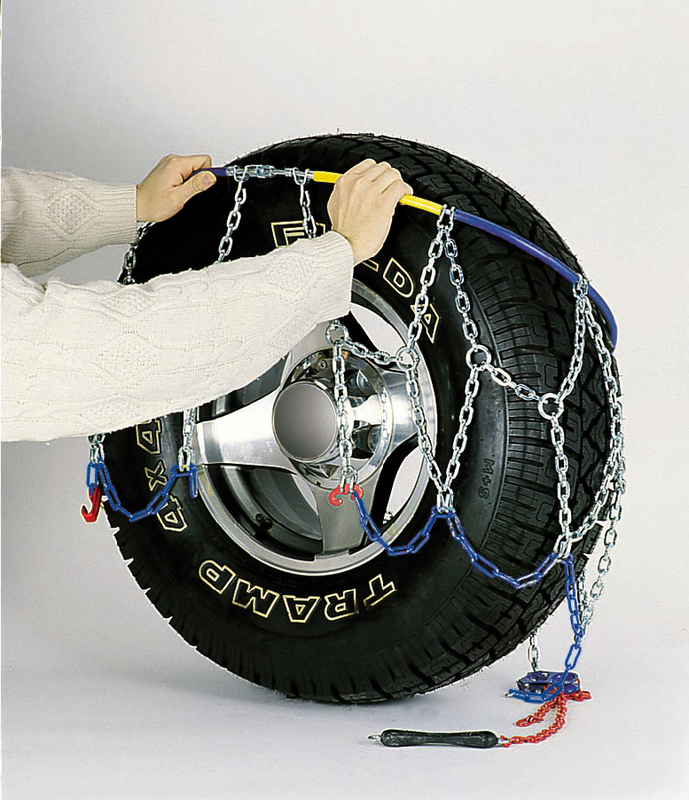 Weissenfels Rex Tr snow chains are supplied in pairs in a convenient carrying bag with illustrated easy to follow fitting instructions, spare emergency repair links and a pair of plastic gloves.